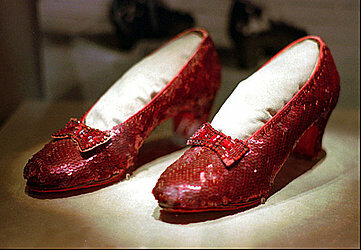 BROOKLYN CENTER, Minn. (AP) — A pair of ruby slippers used in "The Wizard of Oz" and later stolen from a Minnesota museum were recovered in a sting operation after a man approached the shoes' insurer and said he could help get them back, the FBI said Tuesday. The slippers were on loan to the Judy Garland Museum in the late actress' hometown of Grand Rapids, Minnesota, when they were taken in 2005 by someone who climbed through a window and broke into a small display case. The shoes were insured for $1 million. The FBI said a man approached the insurer in summer 2017 and said he could help get them back. Grand Rapids police asked for the FBI's help and after a nearly year-long investigation, the slippers were recovered in July during a sting operation in Minneapolis. The FBI said no one has yet been arrested or charged in the case, but they have "multiple suspects" and continue to investigate. As they unveiled the recovered slippers at a news conference Tuesday, they asked anyone with information about the theft to contact them. "We're not done. 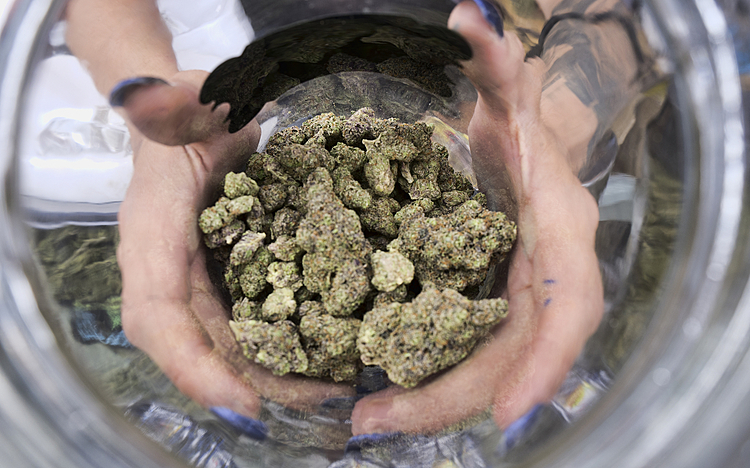 We have a lot of work to do," Christopher Myers, the U.S. attorney for North Dakota, said. Myers said he would handle any prosecution. The North Dakota link to the case wasn't evident and authorities declined to explain it. The Judy Garland Museum , which opened in 1975 in the house where she lived, says it has the world's largest collection of Garland and Wizard of Oz memorabilia.